The Void Gallery, Derry~Londonderry is an artist run, internationally significant gallery. Alongside its international exhibition programme the Void has strong local links, and is a gallery very much at the heart of the local community. 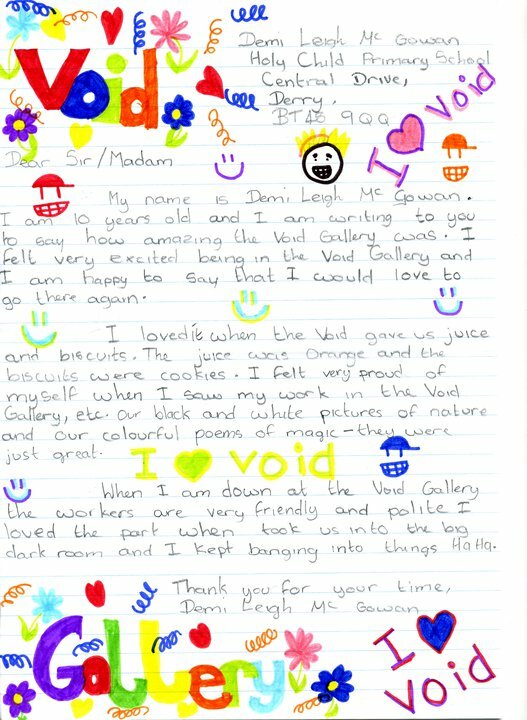 The letters provide a valuable insight into what makes a brilliant visitor experience. 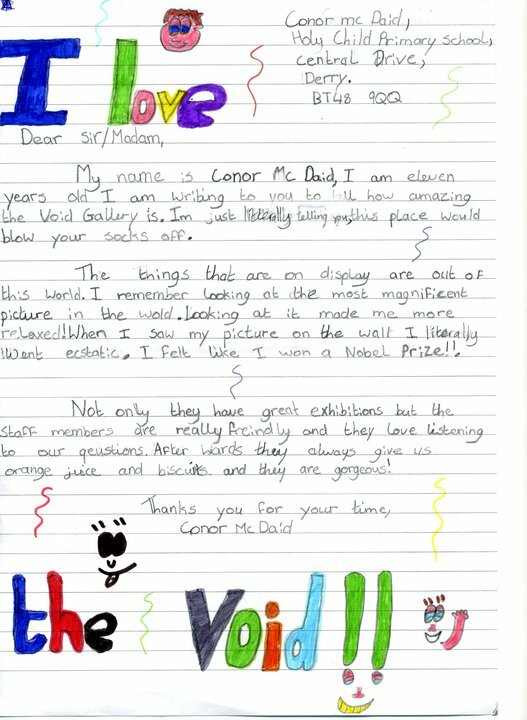 They also show what visitors (especially children) remember about their gallery visit. Whilst probably structured by a teacher, each letter discusses three areas of the visit with great enthusiasm and individual character. The children remembered in equal portions the art, their art and the juice. To see the rest of these letters, or to follow the work of the Void head over to their Facebook Page. MuseumNext: can I have a year to process what just happened?